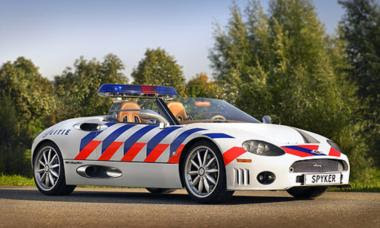 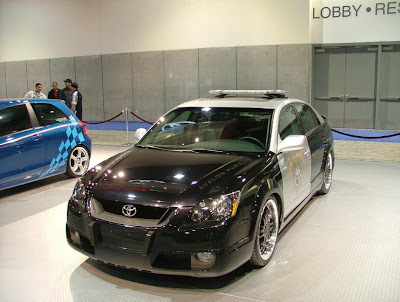 Cool Police Cars from around the World - A collection of fast cool police cars from around the world. 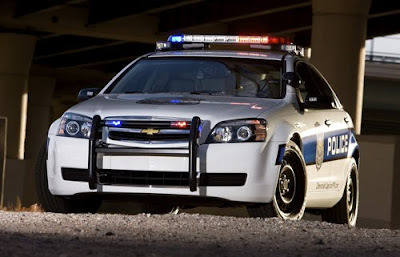 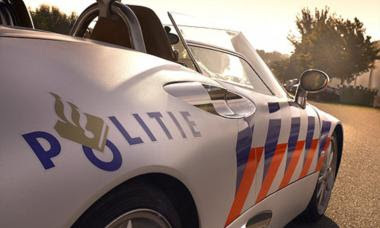 Ever wondered what happens to your money when you get a speeding ticket? 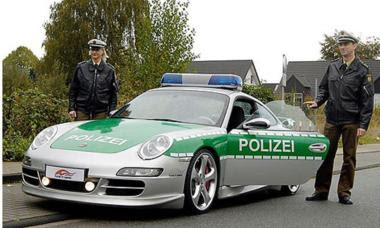 They splash out on cars like these, that's what they do! 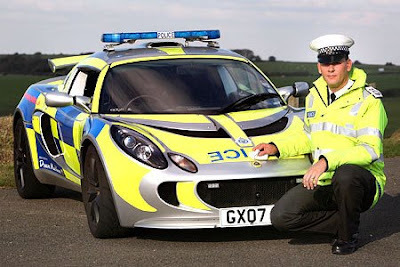 From the country that has the world’s greatest concentration of supercar manufacturers comes the world’s fastest cop car. 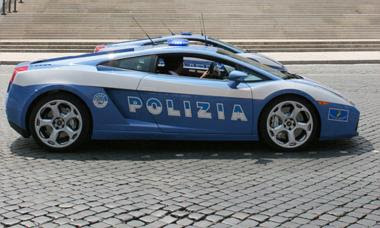 Yes, the lucky Italian cops have a Lamborghini Gallardo at their disposal, a genuine police car used by the Italian Carabinieri to patrol the Salerno-Reggio Calabria highway outside Rome. 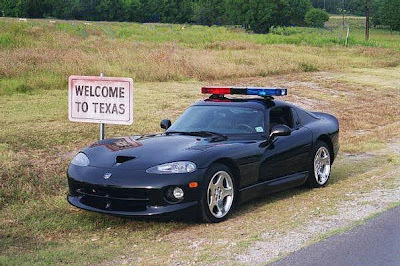 Prime hunting ground indeed, because its 5.0-litre V10 will grant it 193mph flat out and a tarmac-ruining 0-60mph time of around four seconds. 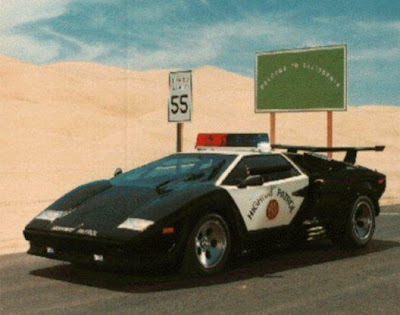 But it isn’t just a patrol car for chasing wrung-out Fiats, Alfa Romeos and the occasional Ferrari. 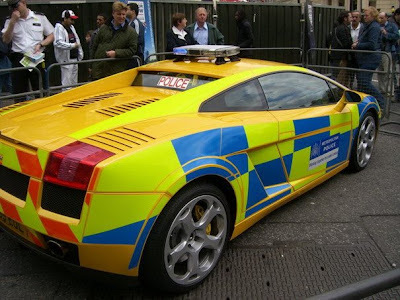 The Police-liveried Gallardo also doubles as a super-fast response car, with the ability to be the first on the scene of a serious accident. 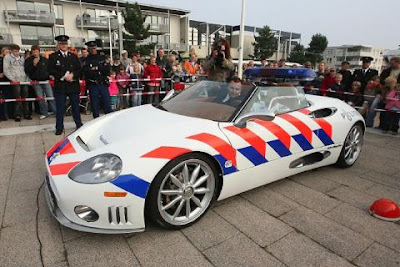 It carries life saving medical equipment such as a defibrillator to revive car crash victims, and is used as a high-speed shuttle to transport organs between hospitals. 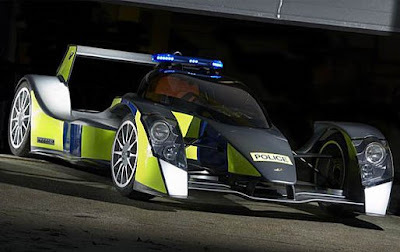 Best of all is that with four-wheel-drive sending all 500 horses into the road, the Gallardo patrol car can be used all year round in all weathers. 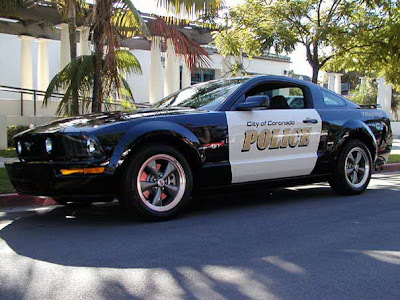 Believe anything Hollywood says and you’ll already be thinking all the cool coppers drive around in Ferraris – they certainly do in Magnum, Miami Vice and Bad Boys 2. 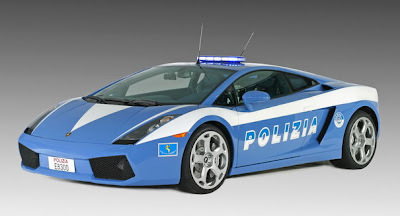 But back in the ‘60s the Italian police drove one for real. 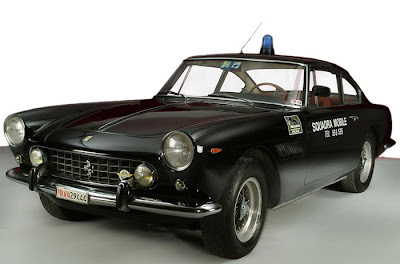 The lucky driver’s name was Marshal Armando Spatafora, something of a legend in Rome it seems, and his car was a 250 GTE. 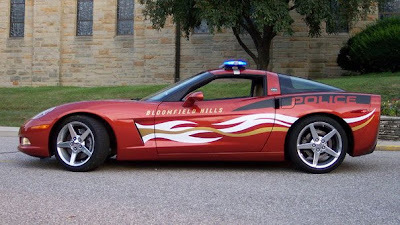 Together, they patrolled the streets of Rome for nearly a decade, hunting down serious criminals in the kind of heroic chases Hollywood directors would kill for. 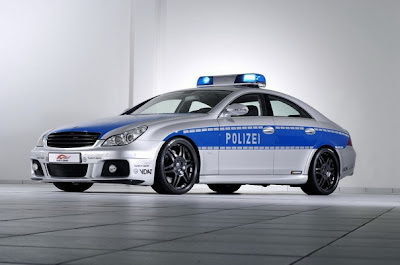 For its day, the car was seriously quick, with a 240bhp engine that could sling-shot it speedily round the tight Roman streets. 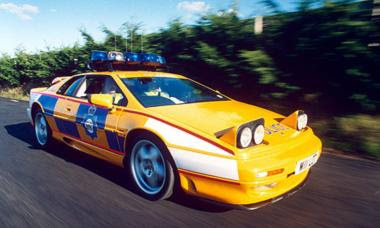 As you’d expect, no car of the day stood a chance, especially as the GTE shared its roots with the 250 GTO, one of Ferrari’s finest supercars and racers. 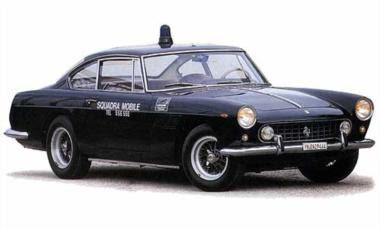 The 250 GTE was also the first mass-produced four-seat Ferrari, so there was actually a bit of space to stick any arrestees. 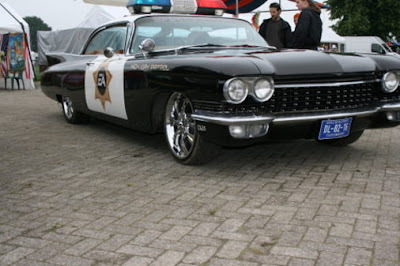 But it looked so damn cool you’d probably want to commit some crime just to see it in action. 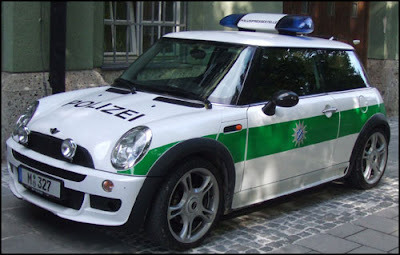 These days it's as rare as a straight politician but the actual car used still survives in a museum of police cars in Rome. 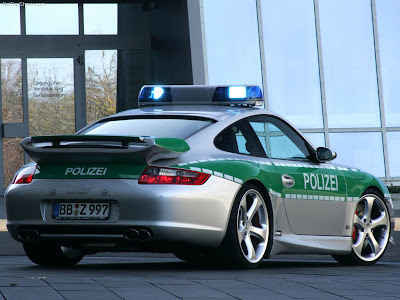 Next time you’re tearing along the Autobhan and forget to slow down for a restricted area, just be aware that the German police have a fleet of Porsche 911s at their disposal, the granddaddy of them all being this TechArt-enhanced 911 Carrera S.
Here are some more cool police cars from around the world. 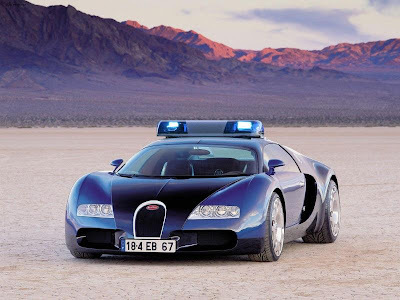 Finally, obviously not real but the Bugatti Veyron would be worth joining the police for!